# New generic Premium VGA Monitor Extension Cable M / M, 50FT / 15.24 M Black. 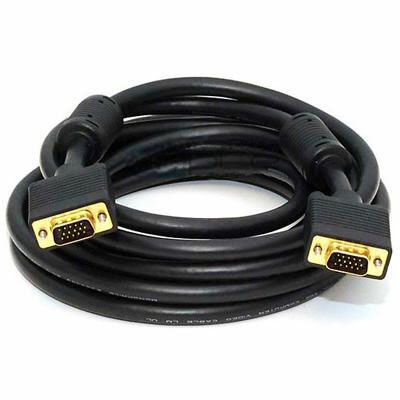 # Premium 50 ft HD DB15 male-to-male VGA video for your monitor. # Connects PC or laptop to the projector, LCD monitor, and other video display system. # Length: 50 ft / 15 m.